Photo courtesy of Running to the Kitchen. Buying seasonal fruits and vegetables, especially during this time of year, can help pad our pocketbooks. Seasonal picks are less expensive and have a higher nutrient content that out of season produce. Though it might seem that hot chocolate and marshmallows are the only in season foods in cold February, there are still some great finds at the grocery store. Sweet potatoes are easy to make, tasty, and filling. You can bake them in the oven, in the microwave, or even in the crock pot. 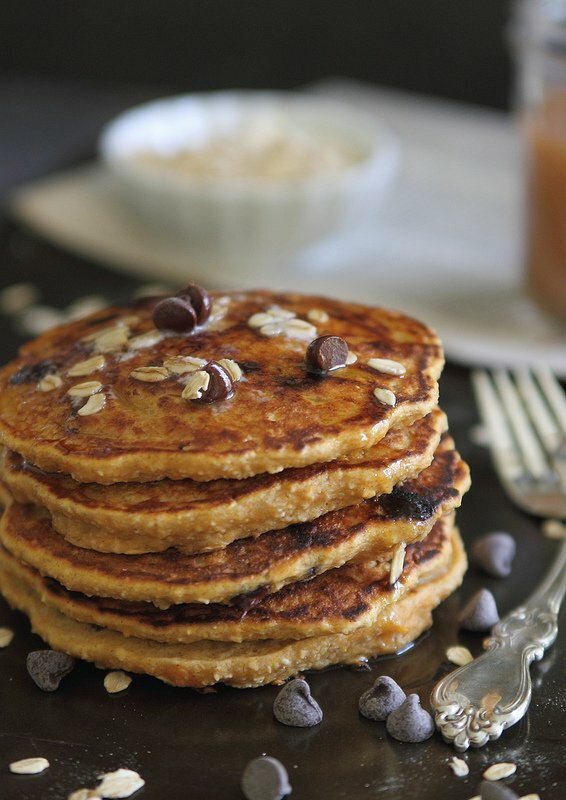 Make these savory Sweet Potato Corn Cakes with Garlic Dipping Sauce to serve as a side or incorporate this spud into a short stack of these Sweet Potato Chocolate Chip Pancakes. As kids, we were force-fed Brussels sprouts that had been boiled to their soggy sulfurous death. No thank you. Now is the time to fall back in love with this baby cabbage and clear its name from sins past. Brussel sprouts, Sriracha, and honey can be caramelized to perfection in this Asian Brussels Sprouts Recipe. They can be eaten raw in a fresh and crisp Shredded Kale & Brussels Sprout Salad, and when paired with hearty fall flavors they really shine like in this Roasted Brussels Sprouts & Cinnamon Butternut Squash side dish. Turnips are a root vegetable that often gets overlooked, but when cooked well, they can bring great flavor to many dishes. Like most root vegetables, their natural sugars caramelize and develop as they cook. If you need to convince picky eaters to try this veggie, make the Pioneer Woman’s cheesy and delicious Turnip Gratin or add in some Caramelized Turnips to a potato breakfast hash and top with a fried egg. For a quick and easy way to enjoy turnips, peel, dice, and add to this Red Lentil Soup with Chicken and Turnips. Collard greens are a southern staple for a reason. This earthy green really shines when slowly cooked with bacon, brown sugar, and chili flakes like in this Spicy Collard Greens recipe. This hearty winter green is surprisingly versatile and can be added to Better than Restaurant Falafel and used in place of a tortilla in these portable Egg White Collard Wraps or in place of a bun in this collard wrapped Bacon Ranch Burger.